Learn the basics of botanical illustration with Sheila Murray, Arboretum Research Botanist and Artist. Learn how to translate what you see in the natural world into scientifically accurate and aesthetically pleasing works of art. 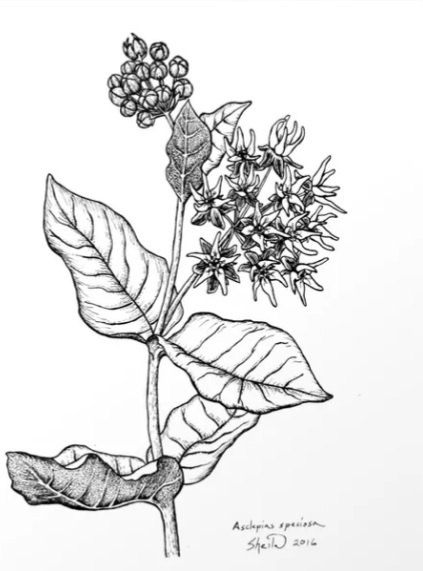 Basic skills learned will include composition, three-dimensional rendering, black ink pen technique, some botanical anatomy fundamentals, and drawing from herbarium specimens. Each participant will take home the supplies provided, as well as their new artwork. Cost is $25 for the general public, or $20 for Willow Bend and Arboretum members.